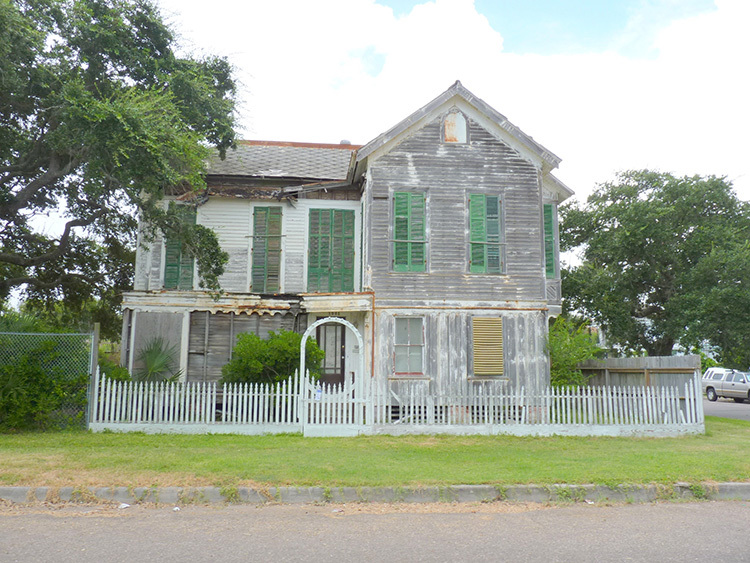 Every year, Galveston Historical Foundation (GHF) compiles a list of historic sites in Galveston County that are at risk of being lost. The “danger” can be in the form of damage, neglect or proposed development. The purpose of the list is to highlight the area’s endangered resources, garner public support and assist property owners in preserving the sites any way possible. 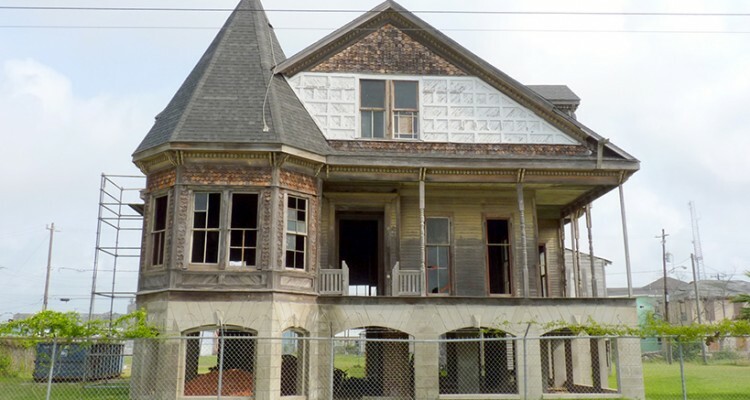 To create the list, GHF asks members of the community as well as visitors to help by nominating sites that are important to the heritage of our cities within the county of Galveston at risk of being lost. 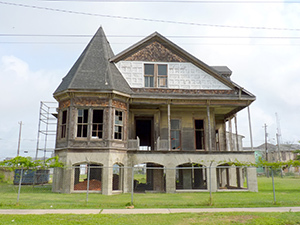 The Heritage at Risk List is not limited to just buildings, but includes landscapes, sites, objects, and monuments that compose the cultural landscape of Galveston County. Listed properties or resources should be locally, regionally or nationally significant. Resources must have an identifiable threat to their preservation such as proposed demolition, critical damage, or significant deterioration. 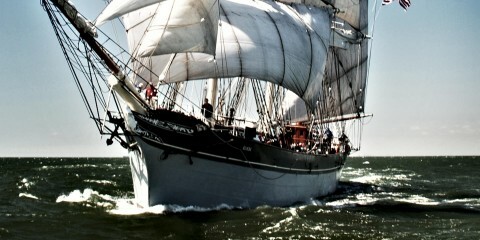 The preservation of the site will contribute to the promotion of Galveston County’s heritage. We want to hear from residents and visitors in Galveston County. Take a photo and share it via instagram or twitter with the tag #ghfheritageatrisk and let us know what you see in the community that warrants a preservationists eye. The Beissner Building is perhaps best known currently as the McCrory’s Building. Located in the heart of the Postoffice Arts and Entertainment District, the Beissner building appears to be in an ongoing state of abandon and decay for more than a decade. Surrounded by a revitalized and vibrant downtown scene that boasts unique community cohesion, the Beissner building stands out as a sad reminder of missed opportunities. Built in 1907 and originally used as office space, the building was home to McCrory’s Five & Dime from 1930 until 1997. The most visible threat to the property appears to be demolition by neglect. Potential uses include commercial retail space on the ground floor with residential apartments above. 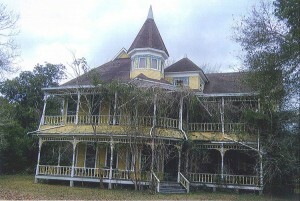 Built in 1892 by Charles L. Flake, this two-story Victorian structure has been vacant and abandoned since 2008. The corner structure’s neglected state brings down the overall appearance of the block. 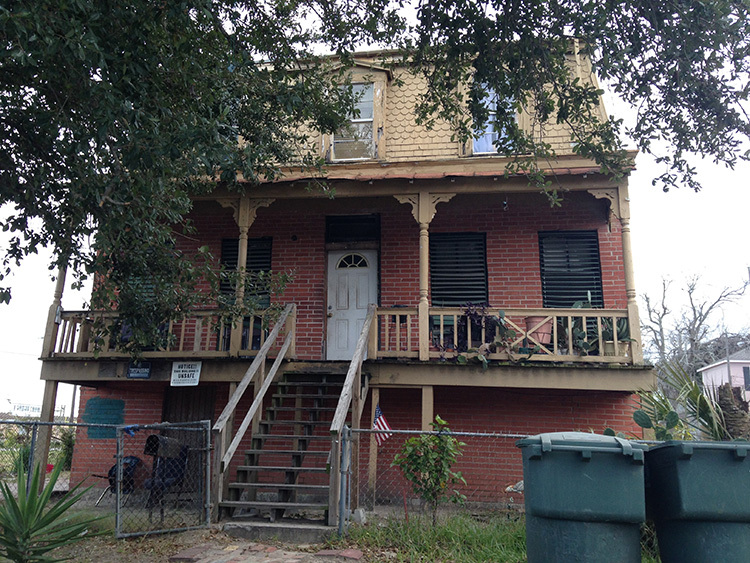 Located in an unprotected neighborhood, preservation of the property is critical, as not to allow the house to pass the point of no return which could result in demolition. 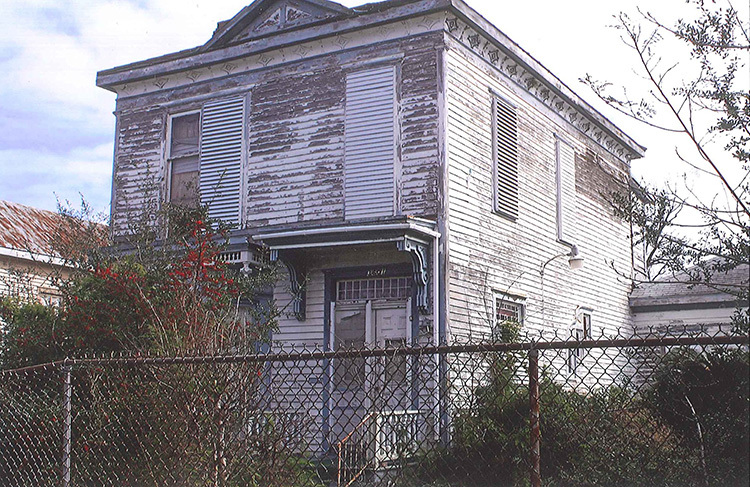 Due to the property’s prominence on the corner of the block, continued decline of the house could also threaten current preservation efforts occurring in the area. The William J. Lynch House, built the early 1900s, is a two-story structure on the corner of 33rd and Avenue P in the Kempner Park neighborhood. Mr. Lynch was an engineer on Dredge Boat #2 during the grade raising and later on multiple other ships working out of Galveston. His house, located on the busy corner of 33rd and Avenue P, serves as a bookend to the neighborhood. Behind the overgrown hedges lies an eclectic house with double galleries, a gable ended two-story bay window accentuated with fish scale siding, and a unique curving side elevation along 33rd Street. The building’s neglected state is apparent to anyone who drives by and brings down the overall character of the block. With broken windows and a serious state of disrepair, it shows no signs of current use. Originally constructed in 1886 as a one-story residence, the house was lifted and lower floor added during the grade-raising that followed the 1900 story. The original owner was Alfred Olson, partner in grocery, feed, liquor and cigar firm of Debner & Olson. Years of neglect have resulted in the loss of porches, wood siding, window panes and paint, making the structure even more vulnerable to the elements. The property has been vacant for years, used for storage, with no signs of rehabilitation. 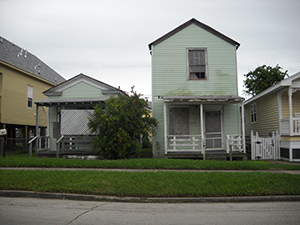 Featured in the Galveston Architecture Guidebook (Ellen Beasley and Stephen Fox, Rice University Press, 1996), and noted for their “ability of vernacular house typologies to shape strongly formed urban space through repetition of characteristic profiles and spaces”, these two houses, along with 2318 Avenue M, were built during the mid-1860s by meat market proprietor Anton Heiman. 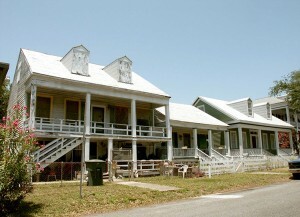 Completed by the mid1870s the cottages are within the boundaries of the Silk Stocking Historic District. The structures have fallen into a state of disrepair and neglect and are in need of immediate attention. 2018 UPDATE: Rehabilitation of 2326 Avenue M has been completed. The future remains unknown for 2322 Avenue M.
The former Falstaff Brewery Complex was built in 1895 at the intersections of 33rd and Church Streets. Originally, it was one of Adolphus Busch’s regional brewery projects as his company expanded throughout the country. Although it changed hands several times, the brewery operated for over eighty years. 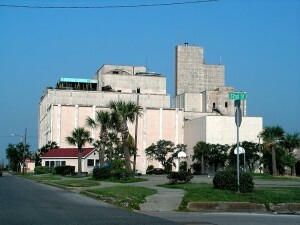 Now vacant, it is one of Galveston’s last standing factories in the Factory District. There are advocates pushing for demolition of the complex because of safety concerns. The reinforced concrete structure could be rehabilitated into any number of uses and serve as an asset to the neighborhood instead of a hindrance. This area has plenty of open space and another demolition would only add to the deserted nature of this block. 2018 UPDATE: Over the past year, two components of the complex have been rehabilitated for use as long term cruise ship parking and a climate controlled storage facility. Plans for the oldest portion of the complex are still being determined, but include the possibility of a boutique hotel, gymnasium and roof-top restaurant. 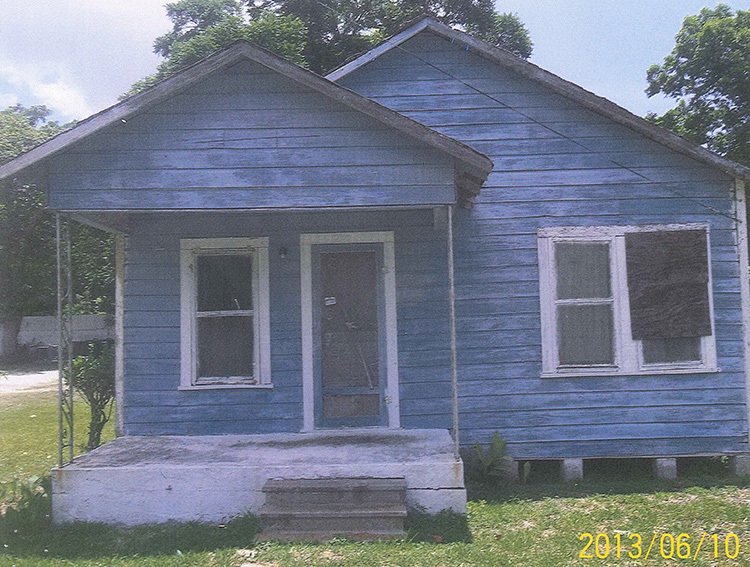 GHF continues to work with the developer to encourage revitalization in the area. The Michael Martingano Building was built in 1914 with a shoe makers shop on the first floor and the family residence above. The building was last rehabilitated in 1988 and currently sits in a state of static disrepair. Its unique brick design and construction sets this building apart from the predominantly wood clad Victorian neighborhood. 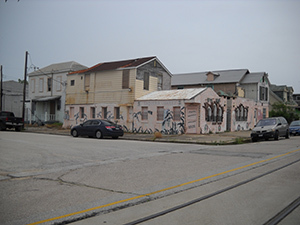 Located on the far western edge of the East End National Historic Landmark District and surrounded by vacant and semi-vacant buildings that make up the eastern border of the Central Business district, this building lies in a transition area that is still struggling to catch up with the redevelopment seen in the adjacent districts. 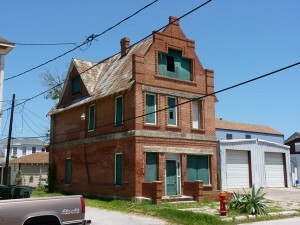 Built in 1887, the Gustave Mayhoff cottage is an excellent example of a vernacular building type popular in Galveston during the 19th century. The house is the grandest structure on the block and one of the few along the block that survived the 1900 storm. 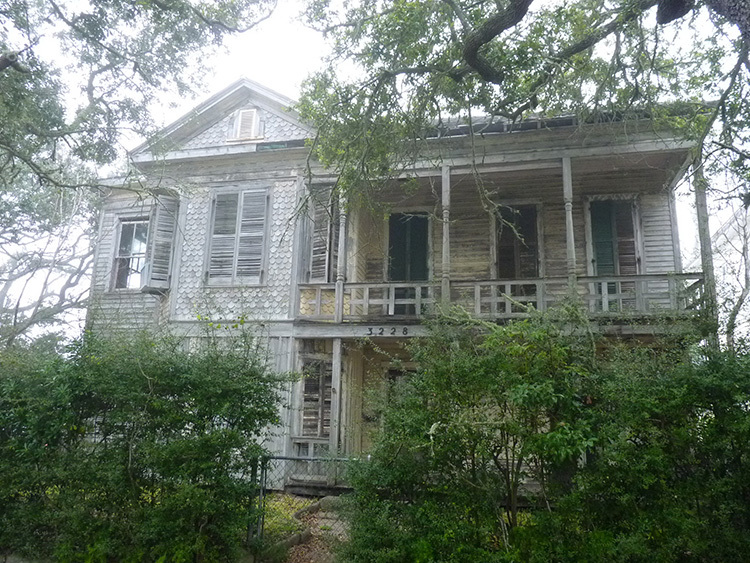 Located in the San Jacinto Conservation District, the property has recently been purchased by new owners, who hope to begin a complete rehabilitation soon. 2018 UPDATE: This property was recently acquired by new owners. Rehabilitation of the property is nearing completion. Constructed in 1874 by Herbert William Lorenz, a boot and shoemaker, these two cottages are part of an intact row of four houses that survived on the edge of the “Line of Total Destruction” from the 1900 storm. They are still owned by Lorenz family members. Both cottages have been vacant for over ten years, with minimal maintenance, resulting in a loss of their historic elements. Although the owner has considered selling the properties in the past, thus far they have refrained from doing so. 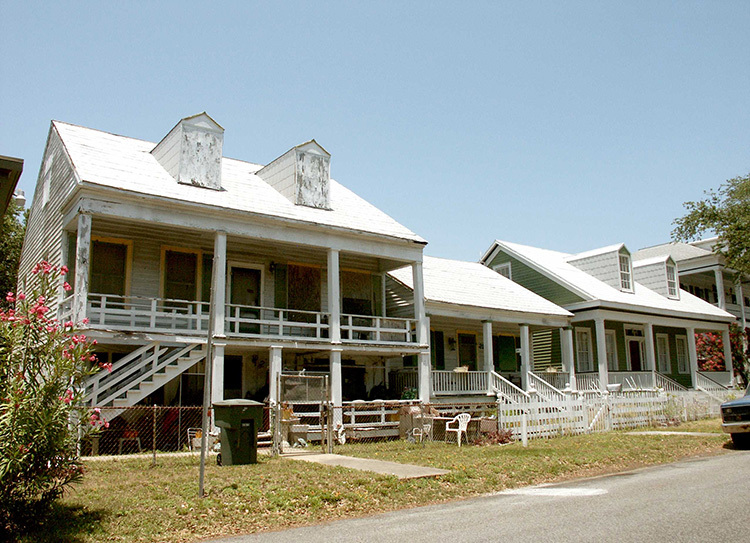 Both structures could be rehabilitated and occupied, keeping intact a row of early historic structures within the San Jacinto Conservation District. The 1867 Settlement Historic District is the only Reconstruction-era African American community in Galveston County. The Bell, Britton, Caldwell and Hobgood families, whose patriarchs were African American cowboys, pioneered the community, which was self-sustained for more than 100 years. These men survived the hardships of slavery, including being torn from their families during the Civil War to serve their masters on the battlefield and drive cattle for the Confederacy. 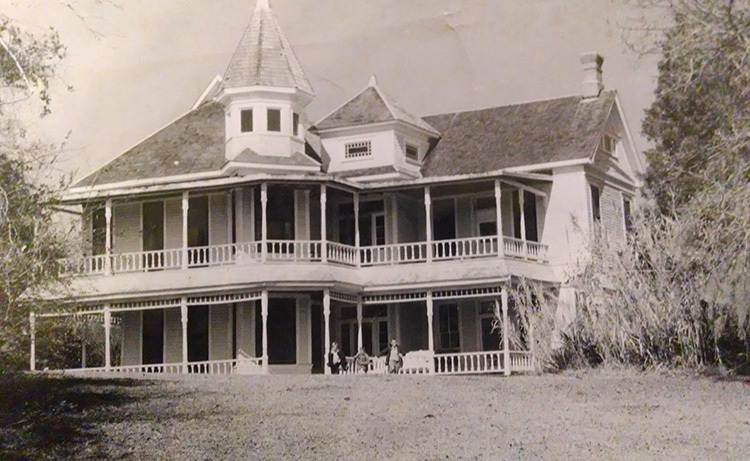 When freedom came in June 1865, the men worked on the Butler Ranch in north Galveston County. In 1867, Judge William Jones set aside the only land in the county available for purchase by freedmen. Many descendants of the original pioneers still reside or own property within the historic community, including the family of Thomas J. Britton, a descendant of Kneeland Britton, one of the first land owners in The Settlement. The homestead of Thomas Britton still exists in the Old Settlement community today, occupied by Britton family members taxed by health problems and fixed incomes. 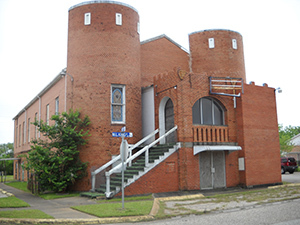 In need of repairs, the structures are in threat of demolition. Built in 1859 by Captain John H. Westerlage, this Greek Revival structure in one of the few remaining examples of Antebellum residences extant in Galveston. The two-story double verandahs extend the entire width of the front elevation, with four Doric columns extending upward through the second floor gallery. Significant deterioration can be seen along the verandahs, with many railings fallen away and not replaced, or replaced with crude substitutes incongruous to the extant remnants of the originals. Additionally, deteriorated planks can be seen in the porch floors and ceilings. Division of the house into four apartments has also compromised the integrity of the structure’s interior, threatening the original woodwork and spiral stairway in the central hall, significant in itself. 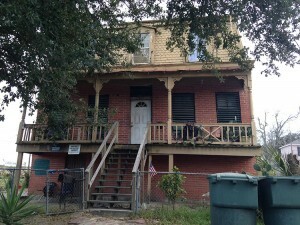 The structure could be rehabilitated to support a single family residence. Ebenezar Nichols was born in 1815, in Cooperstown, New York. After traveling to Texas with a load of lumber in 1838, Nichols settled in Houston, where he entered into a partnership with William M. Rice, forming Rice and Nichols, dealers in dry goods, groceries, hardware and crockery at the wholesale and retail level. 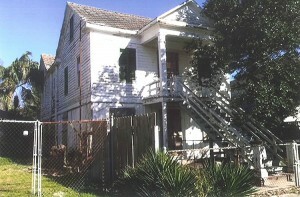 Nichols moved to Galveston in 1850, around the same time a settlement called Dickinson was established on Dickinson’s Bayou, in the northwest corner of Galveston County. The Galveston, Houston and Henderson Railroad, one of the earliest chartered in Texas, built straight through the new community of Dickinson, and in 1857, Nichols, one of the directors of the GH&H Railroad, built a summer estate on Dickinson Bayou. When built in 1857, NICHOLSTONE was a one-story frame structure with a center hall. After Nichols’ death in 1872, his estate was divided among his seven sons, one of whom bought the one story house and surrounding property. In 1895, the structure was remodeled to include a second story with a balcony adorned with Victorian design elements including fretwork and a cupola. NICHOLSTONE is currently owned and occupied by General Nichols great-great granddaughter, who has maintained and utilized the house over the years. 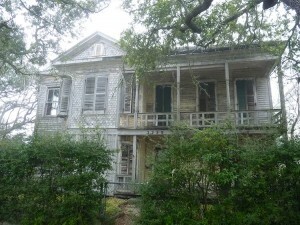 It is the oldest existing residence in the community of Dickinson and is in danger of being lost to the elements of the Gulf Coast climate. 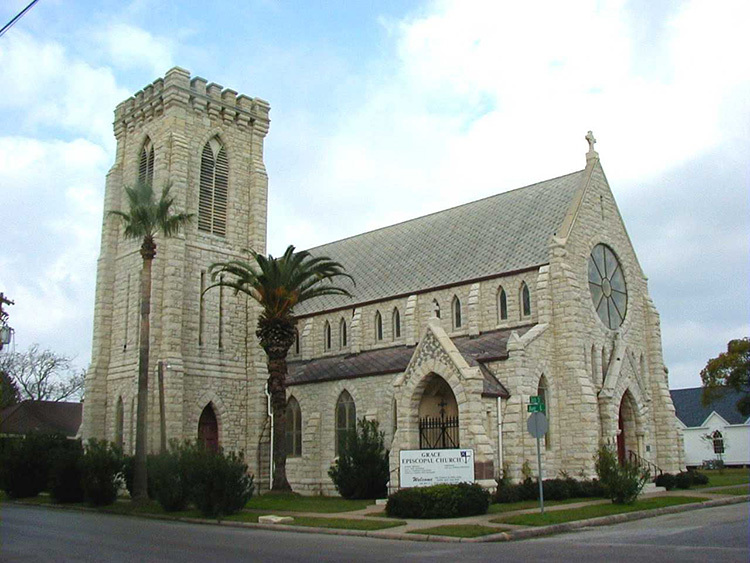 Grace Episcopal Church was constructed in 1894-1895 and designed by noted Galveston architect Nicholas Clayton. Following a condition assessment report by Heimsath Architects in July 2009, repairs needed for the historic bell tower were noted, including repairs to the walls, wood, windows and masonry in order to address water damage and possible safety concerns. Delays in repairs threaten not only the future of the bell tower but also the overall structure. The church is currently working on attaining an engineer’s assessment of the tower so that specific repairs can be addressed in the future. The Martini Theatre was built in 1937 for Attilio Martini. At one time, the Martini family owned eight theaters on the island. As television caught on, the popularity of theaters diminished on the island and elsewhere. 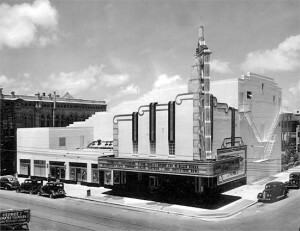 The 990-seat Martini Theatre, designed in art deco style, closed in 1975. Originally used for both vaudeville and motion pictures, the building is one of Galveston’s few examples of Art Deco architecture. Vacancy and lack of maintenance are taking their toll on the exterior of the structure. The original tall neon marquee was lost many years ago and recent storms have damaged the remaining elements. 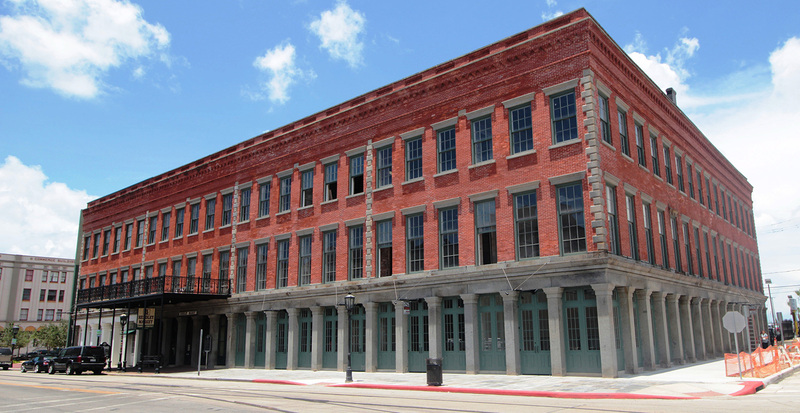 The bustling Postoffice Arts and Entertainment District could benefit from the rehabilitation of this important building, an example of the numerous theatres once located in downtown Galveston. 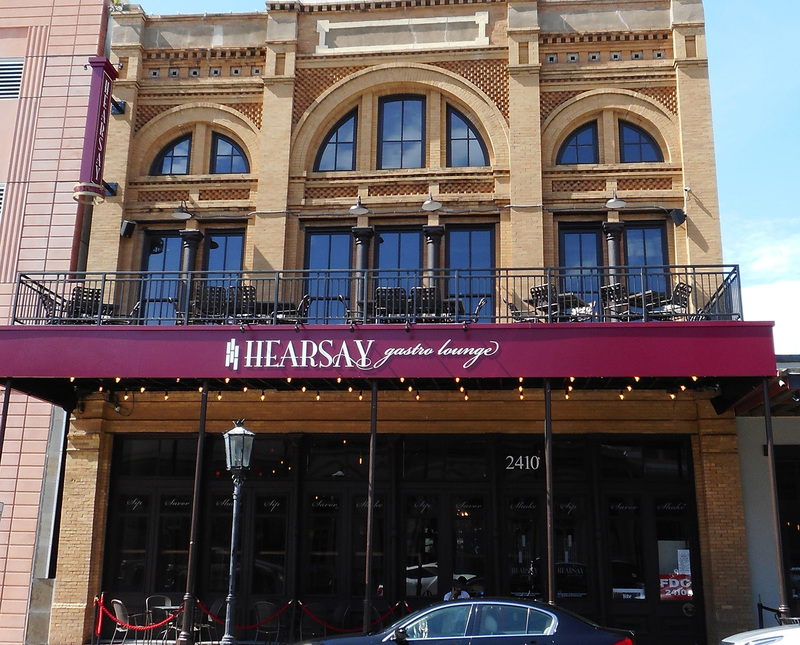 Built in 1859, Hendley Row was once one of the largest business houses in Texas. Noted for their street-level tall double-leaf doors and for their solid granite piers, sills and lintels, this row of four connected buildings is the city’s oldest surviving commercial structure. 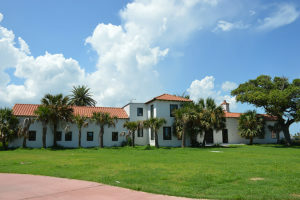 Mitchell Historic Properties acquired the eastern two sections of the property, which had been vacant for nearly 15 years, in 2012. A $1.9 million renovation of the two eastern units of the building for commercial and residential use is nearly complete. The 10-story Jean Lafitte Hotel, built in 1927 as an early skyscraper, was once a popular hotel for business travelers. 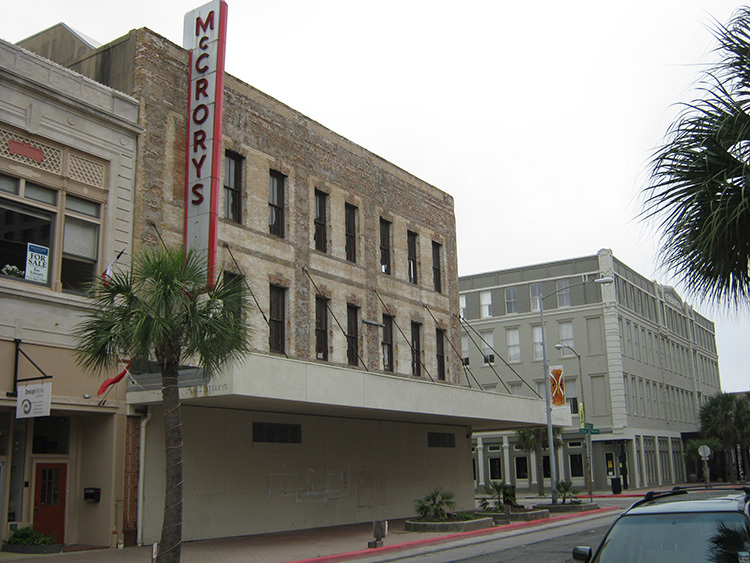 Located on Church near several other “modern” commercial buildings, the building was designed to reflect Galveston’s progressive attitude in the 1920s. Failed rehabilitations left the building without windows and exposed to the elements which aided the continued deterioration of the property. In 2011, the ITEX Group, a Port Arthur based real estate development firm, purchased the property. A recently completed a $12.5 million renovation converted the building into an 85-unit apartment building, with 46 units designated for affordable housing. The two-and-one-half-story 1890 McKinney-McDonald House is a survivor of many tragedies including the 1900 and 1915 Storms. Featuring unique architectural elements including a two-story front bay window that culminates in an open turret, this property is one of Galveston’s unique architectural treasures. In 1993, the house burned in a fire and was left almost abandoned. The current owner purchased the property in 2013 and immediately began rehabilitation of the house. 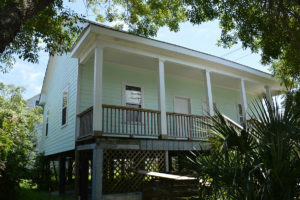 Part of a row of intact mid-1870s houses that survived the 1900 storm along the “Line of Total Destruction”, this high-raised cottage was originally located at 1702 22nd Street. Based on insurance records, Robert Palliser acquired the property in May 1900, possibly turning it to face Avenue O at that time. Palliser was a successful contractor and brick mason whose work included the 1894 Grand Opera House and the L&M Blum Building, currently known as the Tremont House Hotel. Paliser never resided in the cottage, instead using it as rental property. 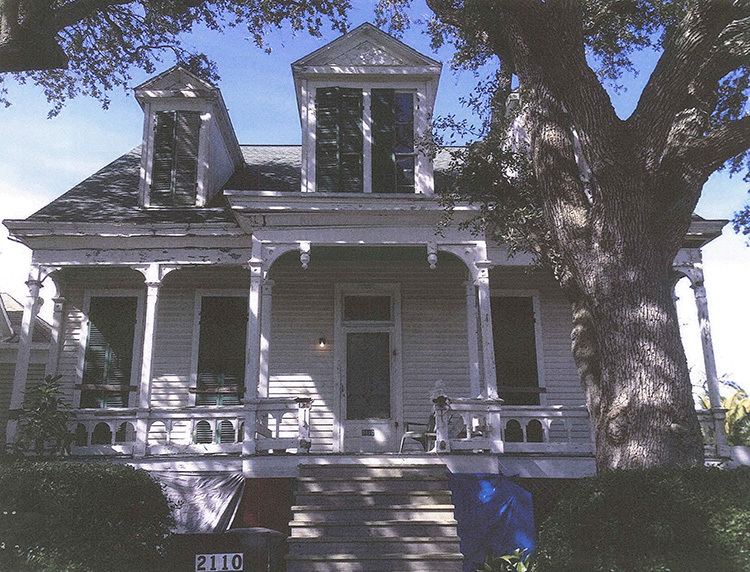 Prior to Hurricane Ike, the property was vacant and poorly maintained. It remains unoccupied although new owners made structural repairs to the foundation in 2010. It is located in the San Jacinto Conservation District. The Fadden Building anchors the western end of the Strand Mechanic Historic District, which is both a local landmark and a National Historic Landmark district. Nicholas Clayton, one of the state’s most noted 19th century architects, designed the building for James Fadden’s wholesale wine, liquor and cigar business in 1898. Repairs to the building as a result of damage received in 2013 during the construction of the city transit terminal to the west are nearing completion. Turner Construction Company, owners of the building, plan to sell it when repairs are completed. 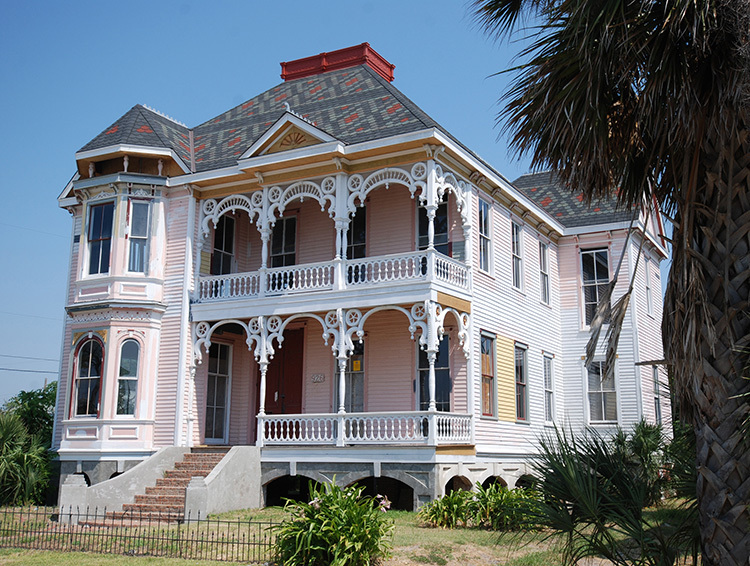 Built in 1899 by James McDonald, 2622 Avenue N is a classic example of Galveston’s architectural treasures. 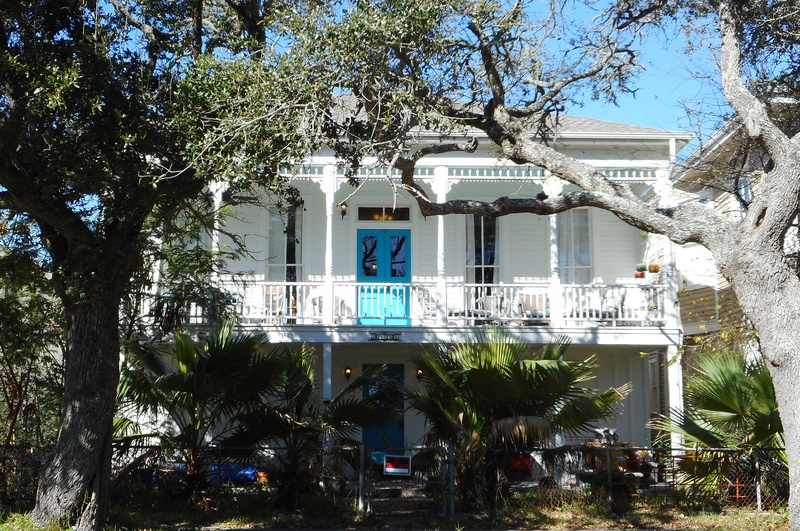 Sitting across from the site of the old Ursuline Academy, the high-raised cottage boasts five bays, a hipped roof and a full gallery across the main floor, reminiscent of the southern Creole vernacular style popular in Galveston before the turn of the 20th century. 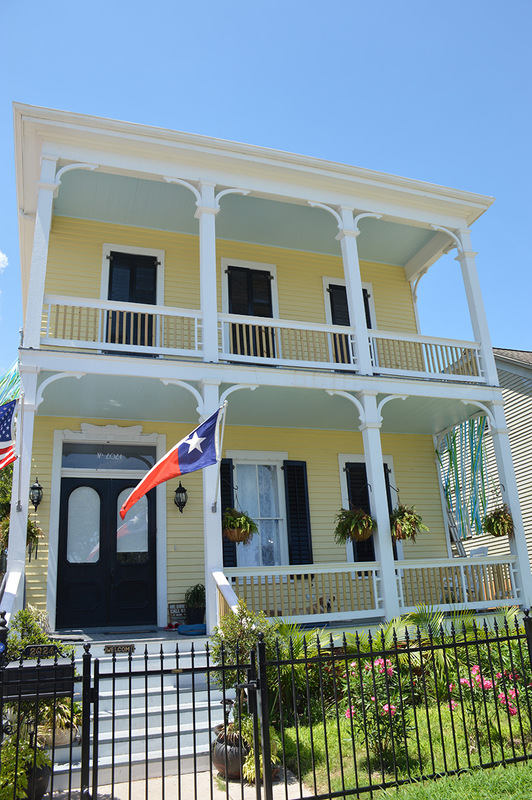 Damaged by Hurricane Ike in 2008, the house has undergone a complete rehabilitation and was designated a City of Galveston Landmark in June 2017. Built in 1926, San Antonio architects Atlee and Robert Ayers designed this structure for George Sealy, Jr. and his wife, Eugenia Taylor. 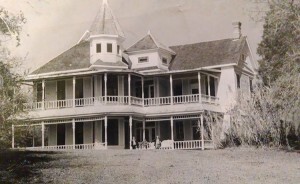 From 1933 until 1944 the property was owned by Maco Stewart, founder of Stewart Title Company. Stewart expanded the Sealy’s small house with multiple additions. 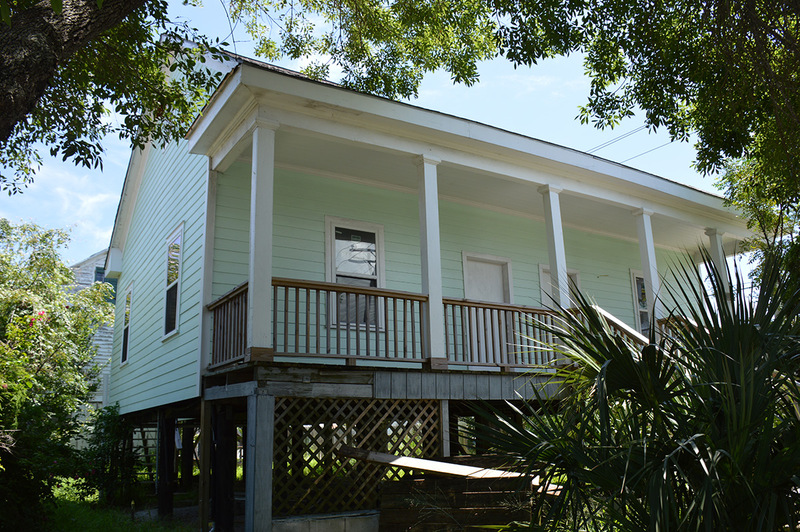 Developers Todd and Lori Edwards recently completed rehabilitation of the property. The mansion is now utilized as a community center for their luxury planned master development Bayside at Waterman’s. Located on the west end of a continuous row of historic houses, this two-story, three-bay-wide southern town house was built in 1886 by Peter M. Gengler, one of the city’s earliest retail grocer, for use as a tenant property. The threat to the site is that the owner appears to be without the financial resources to maintain the property. The structure is not weather-tight, with openings in the roof and deteriorated windows and clapboard siding. The original wood cistern stands in a decayed state at the rear of the structure and front gallery railings are nearly all gone. The site’s potential is clear. A major feature of the block’s western end, if rehabilitated, the building would strengthen the historic character of the neighborhood. Early 20th century insurance records for this corner, lots 13 and 14, indicate the age of the buildings as “old” or built “about 1870.” Galveston City Directories, beginning in 1908, indicate the structures were used as tenant property until 1928, when purchased by Manuel Ramirez, and his wife, Modesta. Ramirez was listed in the city directory that year as a carpenter and it is likely he did much of the work that occurred prior to the opening of his restaurant, Dove Chili Parlor , established in 1932. Also known as La Paloma Mexican Café as well as Modesta’s Café, the restaurant was a meeting place for many of the Hispanic immigrants that called the area home. In 1938, Ramirez hired Manual Flores to design “warrior Indians” and a “wishing well” for the chili parlor. Mr. Flores was a mason by trade and when offered the commission by Ramirez, he sold his League City property and relocated to Galveston, living above the restaurant while he created the designs. A father of eleven children, Mr. Flores worked closely with the masons of Galveston through the years. He also designed and created the niche, or arch, that covers the Virgin Mary at The Queen of Angels Church in Dickinson, Texas, which still stands at 41000 Texas Highway 3. His artwork at 1428 Strand is a source of Mexican/Hispanic pride and heritage, worthy of preservation. 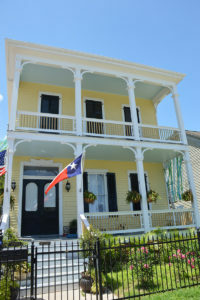 Built in 1872 by early Galvestonians William and Annie Outterside, the two-story, five-bay center-hall house is an early surviving example of a French mansard roof house with a S-curve roof over the front veranda. Brick veneer was added to the house at a later date. 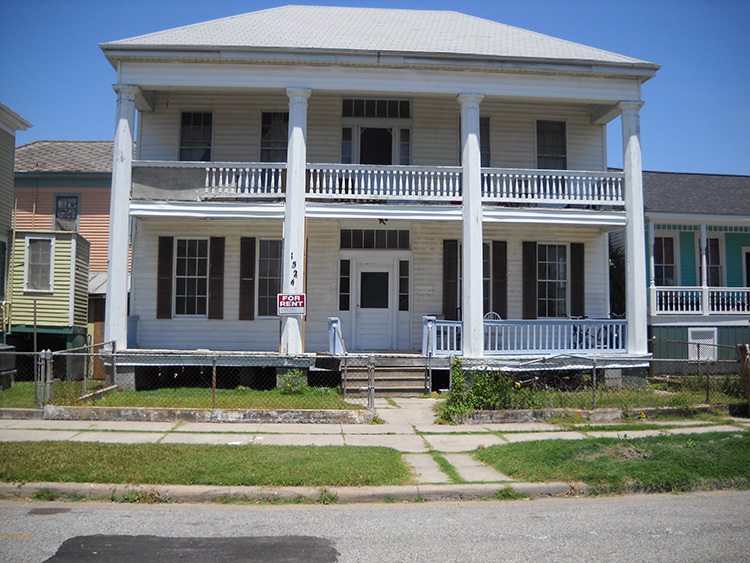 The house is included in the City of Galveston Hurricane Ike Disaster Recovery Program and is slated to be demolished and replaced with a new house. The city Landmark Commission granted a 90-day stay, which expired on April 6 2014. The only scenario to save the house at this point is to move it to another location, where it could become a contributing element reinforcing another historic neighborhood. 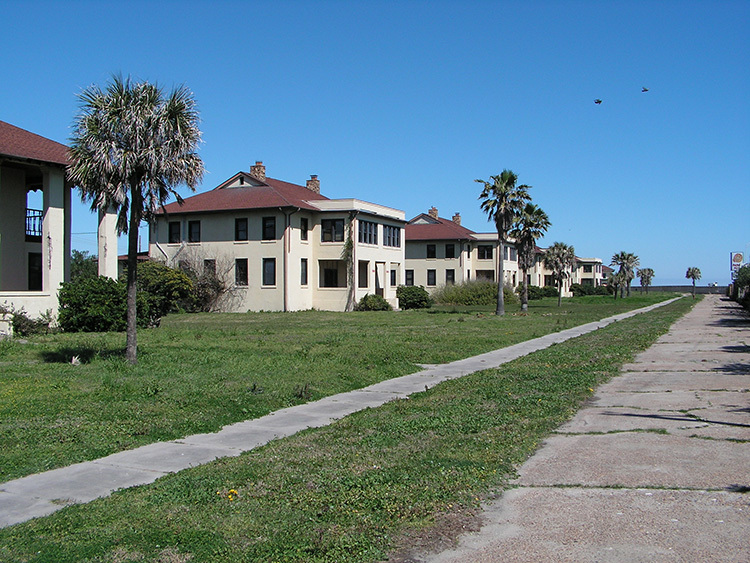 The Fort Crockett Military Hospital and Housing Properties, 4100-4500 Seawall Boulevard, were originally put on the list in 2003. These former Fort Crockett buildings ranged from a pre-World War I hospital to non-commissioned officer housing built in 1939. 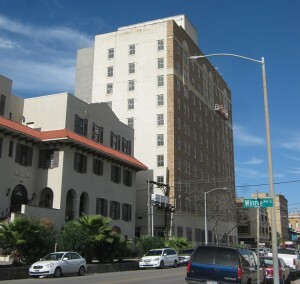 When the Federal government sold the property it placed protective covenants on the buildings through the Texas Historical Commission but a later court decision voided protective covenants and the buildings were demolished by the current owner who plans a 24 hour urgent care clinic for the site.